Yes, grapefruit juice chock-full of vitamins and nutrients. 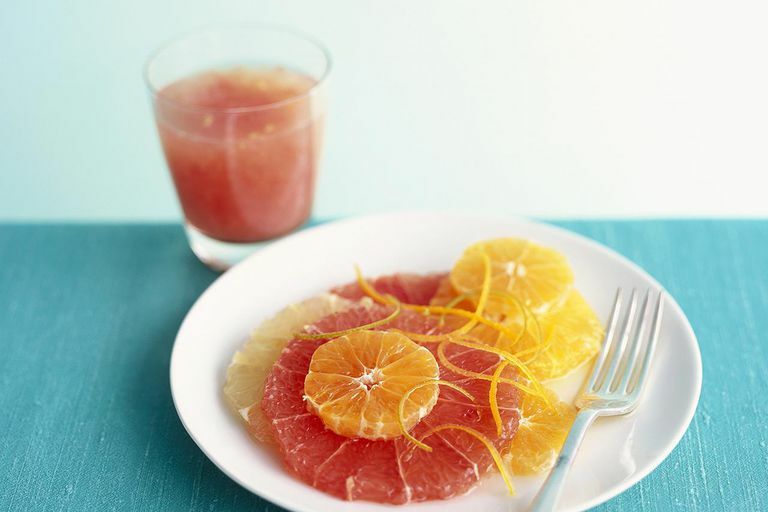 For many, a glass of grapefruit juice is a healthy way to start the day. However, if you're on certain medications, such as certain heart medications called statins, you should avoid drinking grapefruit juice while taking these medications. Grapefruit juice can inhibit your body's ability to break down these medications, which in turn, can lead to adverse effects. Grapefruit juice and certain statins (used to treat high cholesterol) such as Lipitor (atorvastatin), Mevacor (lovastatin), and Zocor (simvastatin) do not mix. Grapefruit juice inhibits a system of enzymes that helps break down dozens of medications, including Lipitor, Mevacor, and Zocor. If you drink grapefruit juice while taking any of these medications, too much of the drugs’ active ingredient may enter your bloodstream. This could result in adverse effects, such as a dangerous muscle disorder or liver damage. More specifically, grapefruit juice inhibits the hepatic (liver) enzyme system P450, which breaks down drugs. By messing with this liver enzyme, more active ingredient affects your body. In other words, the effects of statin drugs are increased in people who drink orange juice. Adverse effects of statins include muscle and liver damage. Cytochrome P450 enzymes are stored in the endoplasmic reticulum of cells found not only in the liver but also in the kidneys, gastrointestinal tract, and lungs. These P450 enzymes break drugs down by oxidizing them. In addition to grapefruit juice, more technically the furanocoumarins in grapefruit juice, other things inhibit cytochrome P450 enzymes including cimetidine (histamine blocker used to treat GERD), erythromycin (antibiotic) and isoniazid (medication used to treat tuberculosis). Please keep in mind that there are several more drugs that mess with cytochrome P450, and if you have any questions about potential interactions, please discuss them with your physician. Your physician should also check whether the medications that you are taking either have adverse interactions with each other or with your diet. The time that you take one of these medications and the time that you eat grapefruit or drink grapefruit juice does not reduce your risk of drug-related adverse effects–-an interaction can happen up to three days after consuming grapefruit. This means that you cannot drink grapefruit juice in the morning and take your medication later in the day. If you want to continue to consume grapefruit products, talk to your physician about using an alternative medication. If you have any questions about drug interactions with grapefruit juice, please discuss these concerns with your physician. Please remember that your physician is an excellent source of information and is there to help guide you through treatment and work to ensure your good health. Article titled "Drug interactions due to cytochrome P450" by CC Ogu and JL Maxa published in the Baylor University Medical Center Proceedings in 2000. Trevor AJ, Katzung BG, Kruidering-Hall M. Antifungal Agents. In: Trevor AJ, Katzung BG, Kruidering-Hall M. eds. Katzung & Trevor's Pharmacology: Examination & Board Review, 11e. New York, NY: McGraw-Hill; 2015.